Lumia Denim software update will bring 4K video recording to select Nokia smartphones. Tasked with showcasing Nokia’s latest products was Chris Weber, the VP of mobile device sales at Nokia. Weber started Nokia's presentation at the IFA tradeshow by addressing the elephant in the room: why would an Apple or Android user ditch their affluent ecosystems for Microsoft’s maturing Windows Phone? “Perception lags reality,” began Weber. “Look at the numbers: there’s 320,000 apps in the Windows Store. We’re adding 500 apps per week. Headlining the press event was the Lumia 830, a 5in smartphone that will benefit from an upcoming software update called Lumia Denim. Lumia Denim will enable hands-free search from Microsoft’s Cortana personal assistant. Saying the prompt “Hey Cortana” is all that’s needed to get the personal assistant going. Rival Motorola debuted a similar feature last year with its Moto X flagship. Additional upgrades include quicker camera processing. From pocket to picture, the Lumia 830 will capture photos in 42 milliseconds. “In the time it takes to blink the human eye, we would’ve taken three or four photos with the enhancements we’ve made today,” said Weber. Select Nokia smartphones will also receive a Nokia camera software update to enable 4K video recording, while another software mode, called Dynamic flash, will makes use of the flash to take better lit photos. Dynamic flash works by taking a photo prior to the flash being activated and another during. It then uses the data from the two photographs to make it easy for Nokia owners to pick the lighting of their choice. Sliding a toggle simply increases and decreases the lighting. A proud Weber then challenged Samsung and Apple to produce a better value for money flagship than the Lumia 830; a tall order considering Nokia’s aforementioned rivals have the humble 830 beat on paper. 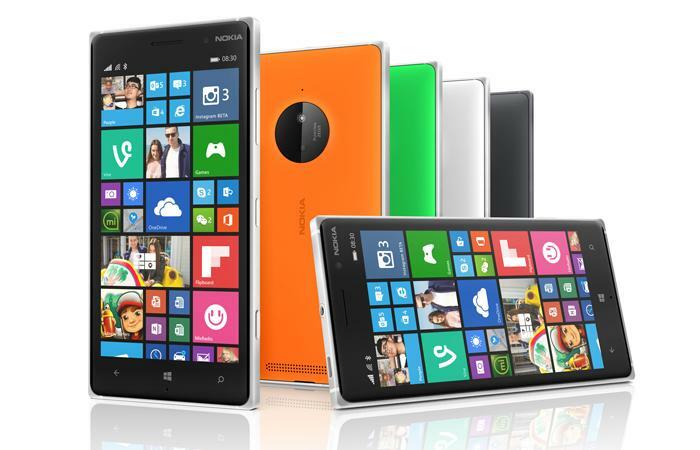 The Lumia 830 has a 5in, 1280x720 resolution screen. Weber claims the smartphone is the lightest and thinnest Lumia to date with a thickness of 9mm and a weight of 150 grams. 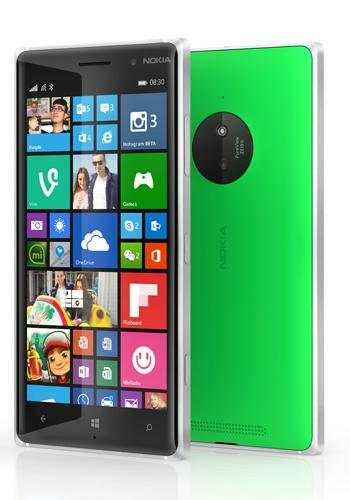 Much of the Lumia 830’s design language has been borrowed from its siblings. Metal is used for its chassis and polycarbonate plastic for its rear cover. One way Nokia has managed to keep the smartphone’s waistline thin is by dropping its PureView camera down to 10 megapixels. “It has our thinnest image stablisation module yet ,” said Weber, adding the camera uses Zeiss optics for the lens. The front-facing camera of the Lumia 830 is also shy on megapixels (MP) as it captures photos at 0.9MP. Inside the hardware tells a similar story. There is a Snapdragon 400 chipset, a 1.2GHz quad-core CPU, a 4G modem, 1GB of RAM and 16GB of internal storage. Removing the back cover reveals a 2200 milliamps-hour battery, a wireless charging pad and an expandable memory slot. 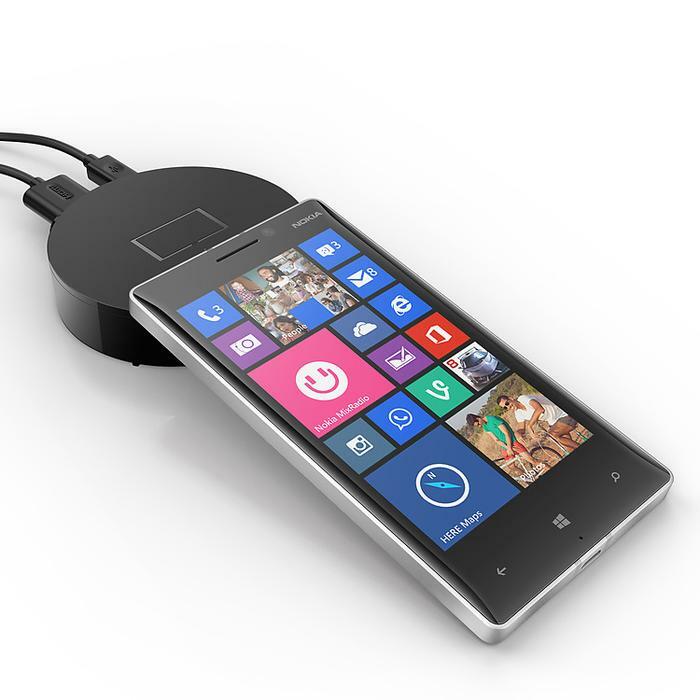 A new accessory, woefully called “Microsoft Screen Sharing For Lumia Phones – HD-10”, makes it possible to share the Lumia 830’s content to a Full HD television. Local availability and pricing for the Lumia 830 was not announced, but Weber did say the smartphone will commence a global rollout “this month”. The Lumia Denim update is expected to roll out to Nokia’s Lumia 930, Lumia 1520 and Lumia Icon in the fourth quarter of this year. Good Gear Guide will add updates to this article as more news breaks.